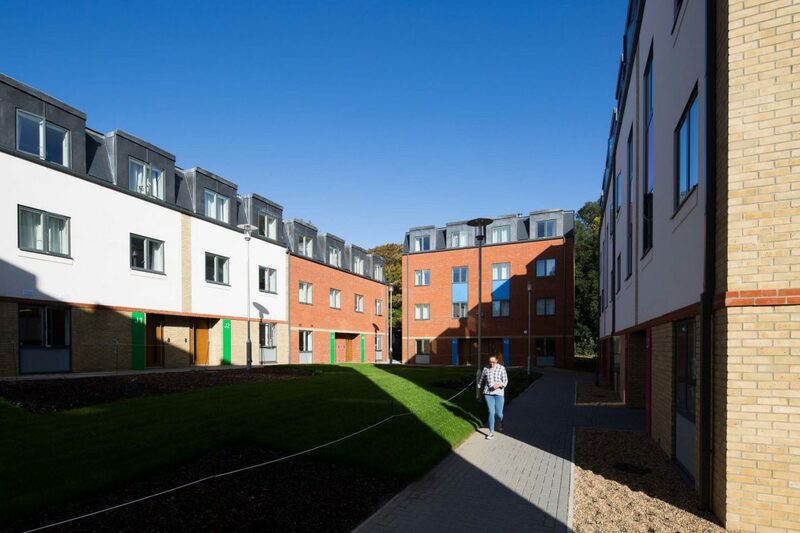 Nestled in a former arboretum, George Eliot is a new model of student accommodation at Royal Holloway, University of London. With the secluded North Campus site consisting a large number of protected trees and sitting next to a residential area, a sensitive design approach was required. 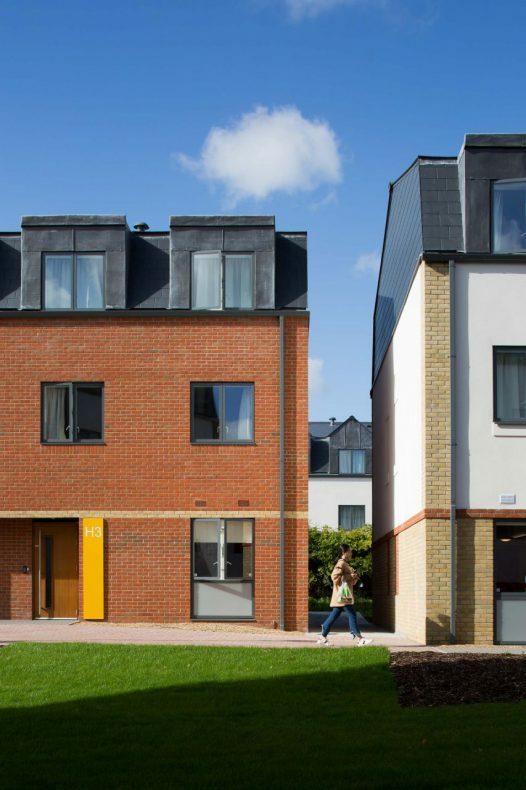 56 individual townhouses each provide a ‘home from home’ for between nine and 12 students. The townhouse model encourages communal living and has a contemporary feel. 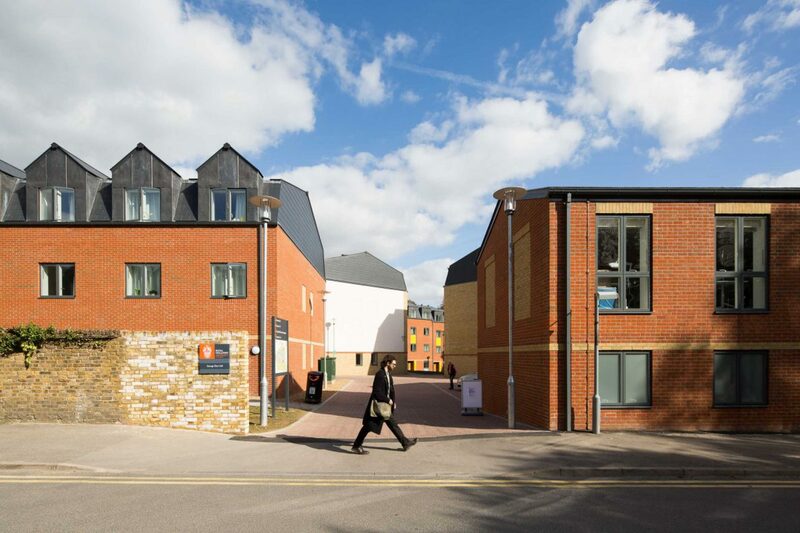 Large lounges and kitchens offer high quality space for studying, socialising and relaxing. With two bathrooms per landing, students share with just one other housemate. 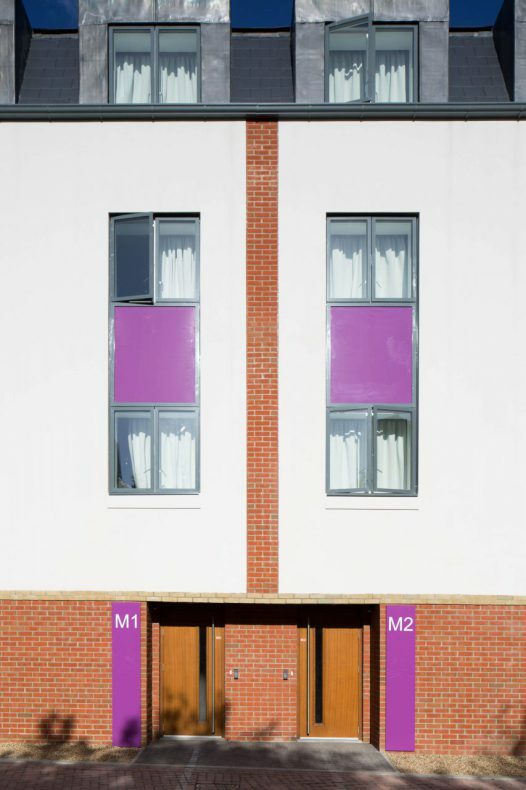 To help with wayfinding on the site, the colour palette was designed so that no two buildings are the same. 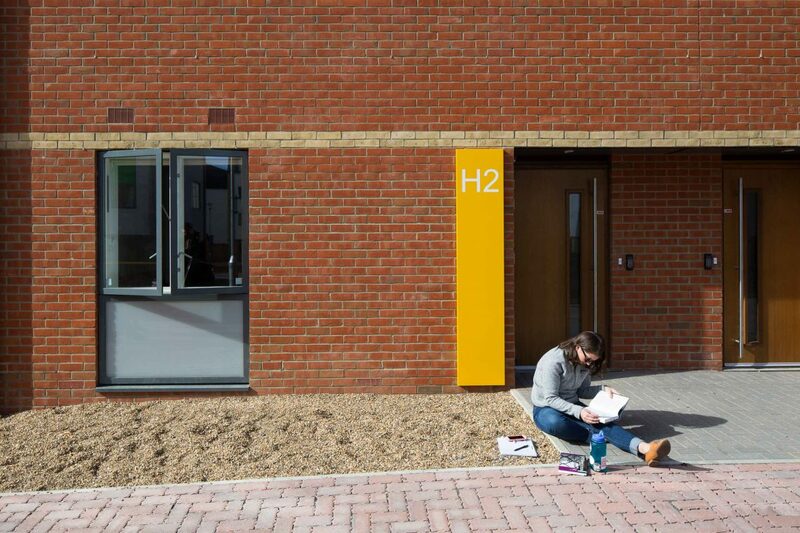 Each use a combination of red brick (a nod to the Founders’ Building), buff brick, or render, with flashes of colour taken from RHUL’s brand colours. 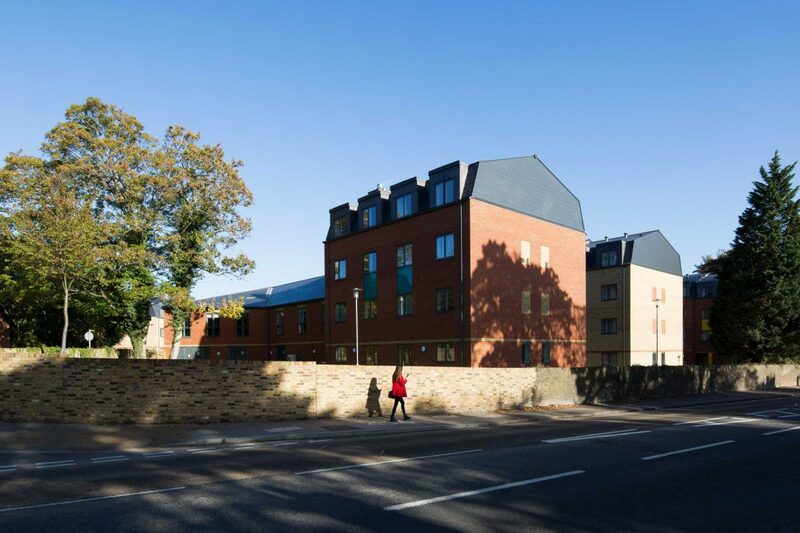 An amenity building with social areas, flexible learning spaces, communal facilities and an energy centre also compliments the 621 bed scheme. Combining these facilities with the townhouses and green courtyards, a sense of community has already developed after the first couple of months of occupation. 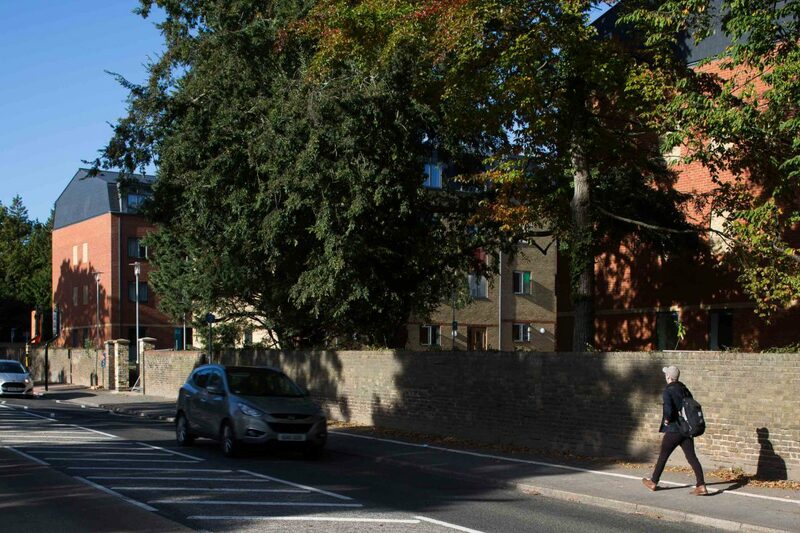 George Eliot achieved detailed planning consent in just 6 months, despite the challenges of integrating it into the residential neighbourhood and preserving the mature trees. It was procured under Scape Group’s Major Works framework. Stride Treglown provided architectural, planning consultancy, soft landscaping and fire consultancy services.